It seems that nothing but bad news is coming from Guardians of the Galaxy Vol. 3. First director James Gunn was ousted for past tweets and now Drax actor Dave Bautista is threatening to quit if Gunn's script isn't used. Amidst all this turmoil, fans of the franchise are coping in an odd way by suggesting James Gunn return to the director's chair under the dubious and hilarious alter ego Jimmy Gunnbergo. Essentially it's just Gunn wearing a fake mustache and the hope is Disney will bring him back under the pretense he is a completely different person. 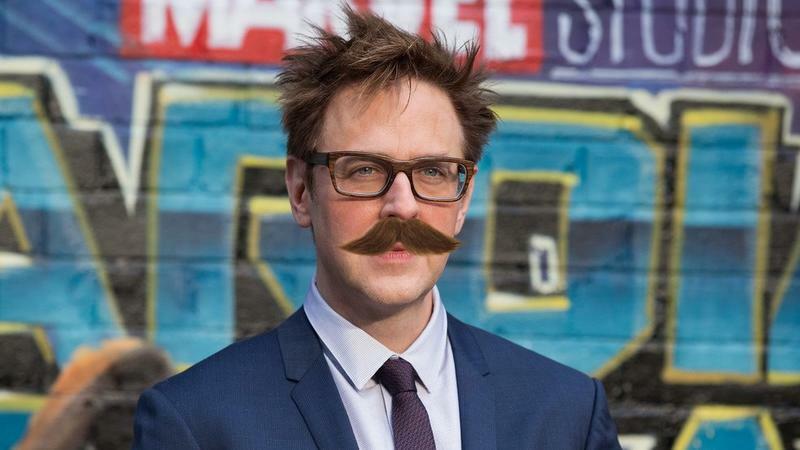 The faux headline reads: "Marvel Hires First-Time Filmmaker Jimmy Gunnbergo to Direct Guardians 3," and below is a photo of James Gunn wearing a mustache. I don't think I've been this intrigued by a mustache since the whole Henry Cavill Justice League mustache debacle. Yes, we do realize this is not plausible. There is no way Disney execs would ever be fooled into rehiring James Gunn. But the thought of it happening is kind of amusing, which makes this whole story very funny. Alas, Guardians of the Galaxy fans can only dream of this scenario coming true, since the studio made it abundantly clear James Gunn isn't returning. It provides a small respite of the ongoing issues plaguing the beloved franchise.